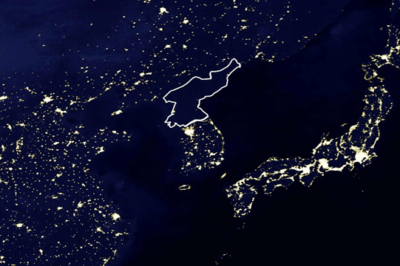 The country of North Korea (white outline) is utterly dark compared to the surrounding countries. Source: NASA. A look at the paucity of GIS data and geographic information about North Korea, including on Google Maps. 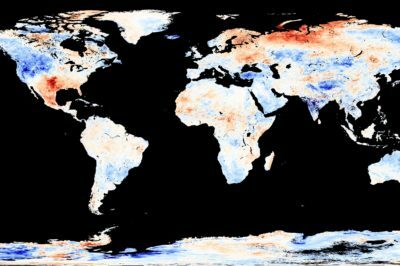 Land Surface Temperature Anomaly (June 1 - June 30, 2011) image by Jesse Allen, NASA’s Earth Observatory using data courtesy of the MODIS Land Group.